Brooke is a Junior Animal Science major at Texas Tech University. Brooke grew up as the daughter of two agricultural science teachers in Howe where she became active in FFA and the livestock industry at a very young age. She competitively exhibited barrows, heifers and steers across the state and nation. Along with her show ring success, Brooke was very competitive in FFA and 4-H livestock judging earning her a spot on eight state qualifying teams and one national qualifying team. She secured High Individual honors at the 2015 American Royal 4-H Livestock Judging contest. At Texas Tech, Brooke was a member of the 2016 Co-National Champion Wool Judging Team and was selected to receive All-American Team honors. This fall she will begin preparations to represent Texas Tech as a member of the 2018 Livestock Judging Team. Brooke is also the President for the Block and Bridle Club and a student assistant in the Department of Animal and Food Sciences. 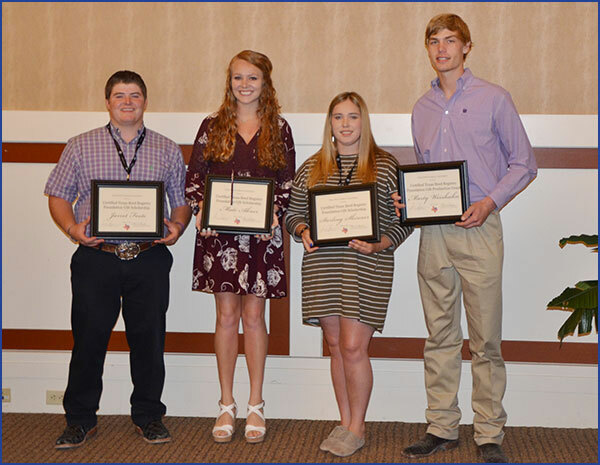 This summer she assisted with departmental research projects and helped host youth events such as the livestock and meat judging camps and the Texas 4-H Livestock Ambassador programs. She has also been named to the Texas Tech President’s and Dean’s lists, along with being a member of the Alpha Lambda Delta Honor Society. After graduating with her Bachelor of Science Degree from Texas Tech, she will pursue a career in the agricultural industry. 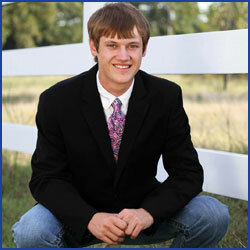 Travis is a sophomore Animal Science major at Texas Tech University. He attended high school in Cleburne, Texas, where he was very involved in 4-H and FFA as well as showing livestock including hogs. He had the opportunity to travel to the countries of Argentina and Uruguay through the Texas 4-H Livestock Ambassador program where he gained a greater understanding of how the agricultural industry works globally and the role of the United States in the market. Travis ended his freshman year on the Dean’s list. He also stays involved with university clubs. He holds an office in the Texas Tech Meat Science Association and is an involved member with the Block and Bridle Club. 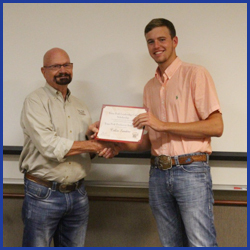 He competed on the Texas Tech Wool Judging Team last year, will compete on the 2018 Meat Judging Team, and plans to judge livestock in the future. His career goals are to find a meat science industry job where he can better educate the public on how livestock are raised and processed. He thinks it is important to be an educational resource to the public. 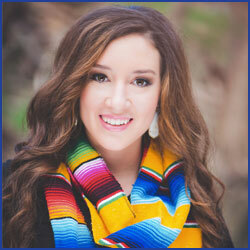 Maddy is a Junior Animal Science – Pre-Vet major at Texas Tech University. She attended high school in Hondo, Texas, where she was Salutatorian of her graduating class and has been recognized on the President’s list each semester at Texas Tech. Maddy showed pigs and lambs growing up and thoroughly enjoyed seeing the many hours of working with her animals in the barn pay off through success in the show ring. Through both raising and showing swine, along with competing in livestock judging, she has always loved being able to work with all aspects of the swine industry. While at Texas Tech, Maddy has competed on the 2017 Meat Judging Team and plans to join the 2018 Livestock Judging Team in the upcoming spring. Aside from judging, she currently holds the position of Ag Council Representative for the Block & Bridle Club and the Meat Science Association. Upon the completion of her Bachelor of Science in Animal Science, Maddy’s future plan is to attend vet school and one day practice as a large animal veterinarian, which will allow her to stay closely involved with the agriculture industry. 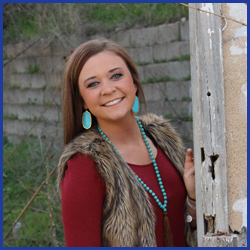 Kaylee is currently a Senior Animal Science major with the Pre-Pharmacy option at Texas Tech University. 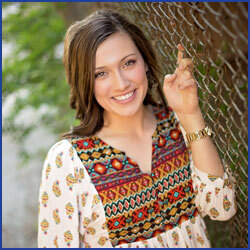 Kaylee attended Highland High School, where she graduated as Salutatorian of her class. She grew up in a small West Texas agricultural community, surrounded by cattle, swine, and tractors all her life. Her family raised show pigs, and she competitively showed barrows at all major shows across Texas. Additionally, Kaylee also participated in FFA livestock judging for four years, competing at both the area and state levels. Once at Texas Tech, Kaylee was a member of the 2016 Co-National Champion Wool Judging Team. Currently, she is a member of the 2017 Texas Tech Meat Judging Team. The team was victorious at all three of the contests during the spring, and they have four more to look forward to in the fall, including the national championship in November. Kaylee is also a member of the Block and Bridle Club and the Meat Science Association. Furthermore, she has been named to both the Texas Tech President’s and Dean’s lists. She is also a member of the Alpha Lambda Delta Honor Society. 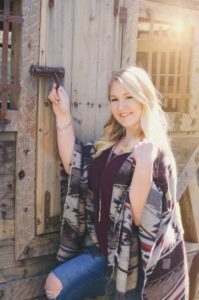 Upon graduation, Kaylee hopes to attend the Texas Tech Health Sciences Center School of Pharmacy, pursuing her dream of becoming a pharmacist. Howdy, my name is Meghan Clancy and I am a sophomore Animal Science major at Texas A&M University. Before starting college I was heavily active in the FFA and 4-H showing pigs across Texas and even to the National Western livestock show and rodeo in Denver Co. I began raising pigs in the 6th grade learning how to breed, farrow and show pigs from the Jones&Bennett Berks family and Terry pool show pigs. Since beginning college, my love for the pork industry has continued to grow even further after finishing my internship in North Carolina with Smithfield hog productions. I am currently on the 2018 Fighting Texas Aggie Meat judging team and will pursue a certificate in Meat Science and HACCP certification. After graduating with my undergraduate I plan to move north to receive my masters and research swine nutrition and be an advocate for the pork industry. 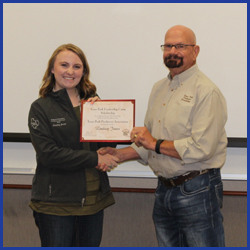 Texas A&M Senior Jodi Cox was awarded a scholarship through the Animal Science department by the Texas Pork Producers Association. Jodi grew up in Kemp, Texas and was very involved in her local FFA. While at Texas A&M, she has been active in Alpha Zeta Honors Fraternity and Saddle and Sirloin Club, for which she serves as a club officer. 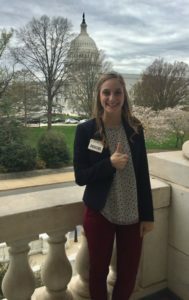 As a Saddle and Sirloin officer, she has had the opportunity to represent Texas A&M in Washington DC at the National Block and Bridle convention, as well as organize various events such as an informational barnyard experience for local elementary aged children in the community. 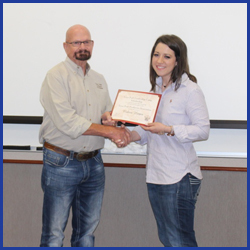 Jodi plans to continue her education at Texas A&M in graduate school for ruminant nutrition. 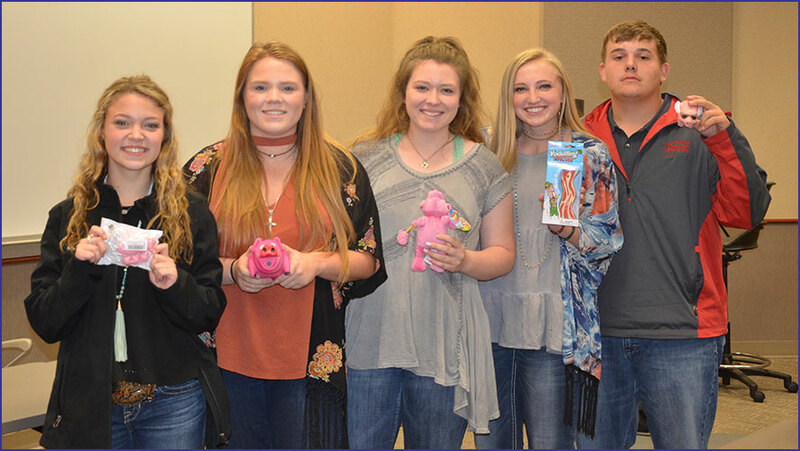 Congratulations to Sierra Reynolds, Laci Keel, Sam Barnett, Kennedy Caldwell, Roy McCleery!